If you’re a DD Perks card holder with Dunkin’ Donuts, starting today (9/25) and for the whole week, you can get a free item each day. 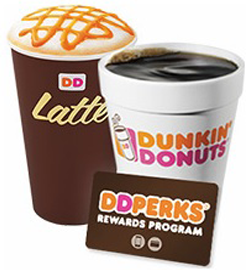 The freebie will drop into your DD Perks app and is redeemable at participating DDs. A pretty sweet deal. Yes, there’s mostly free coffee or tea, but if you’re a coffee/tea lover like me that’s perfect! We’ll be heading out shortly to take advantage of today’s free item, an egg and cheese breakfast sandwich. 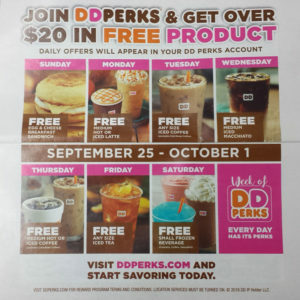 Don’t have a DD Perks card? No worries, you can pick one up at the store and add money to the card. Or even better, just download the app and you can join right from there. Note: in order to receive the freebies, you’ll need the DD Perks app as they put the free item into your “perks” section of the app. The app is pretty sweet though. You can add money directly to the app and use the QR code on the app to pay for your items. The best part is if you use the app regularly, you build points which are redeemed for drinks. Not a bad deal. Plus, they drop in some pretty sweet deals from time to time. A fairly quiet week @ ET. That doesn’t mean it was a slow week for us. It was actually a pretty busy one, which explains the blog activity this week. Next weeks’ posts will include: a Ting Wireless update on our first month, my experience with a clinical survey and a new recipe to try at home. Enjoy your weekend! I came across this recipe while surfing Pinterest and it looked great. 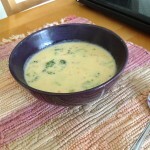 If you’ve ever had Panera’s Broccoli Cheese Soup you know this recipe has delicious potential written all over it. I made it for dinner last night and mmm-mmm, did it turn out good! And yes, the pictures were taken by me. The one thing that threw me was there is no way this recipe serves 6 with only 16 ounces of fluid – 2 cups broth & 2 cups half & half. Here’s what I would amend about the recipe after our in-home taste testing. One other note – don’t add up the calories because they will make you cry. Here’s a link to the Pin on our Pinterest board. And here’s a link to our New Pinterest page where you can follow us. 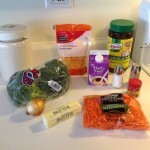 We’ll post blog links, recipes, and all sorts of fun stuff. It’s no secret amongst my peers that I am a huuuuge Target fan. I don’t work for them, I just love them! I buy 85% of our groceries there – pretty much everything except particular canned items and produce which I can find cheaper elsewhere. Our pantry is currently overflowing thanks to all the coupons and deals we stacked at our local SuperTarget during our latest trip Saturday morning. Our initial total was $108. After mobile coupons, Target & manufacturer coupons, Target Cartwheel for iOS & Target Cartwheel for Android * discounts, and 5% for using our Target REDcard, the final total due was $75!!! And that doesn’t include the two free $5 gift cards we were given for buying certain amounts of things we needed. I just such a high from saving so much money! Best of all, this was for things we’d buy anyway (although admittedly, I probably don’t need to have nine bags of Annie’s kettle corn, but they’re good until May so as long as I pace myself (haha) I should be good). I just need to keep in mind that we definitely don’t need ketchup or mayo for at least the next six months so nothing spoils before we can use it. I waver between loving having a fully (over)stocked pantry and feeling a little overwhelmed by it. I’ve gotten pretty good over the years of not buying so much that it expires before I can use it. But there have been exceptions. The expired items I had to throw out recently were half a box of Bisquick and some syrup. We rarely make pancakes or waffles so we plan to make the batter from scratch from now on and not stock up on syrup anymore. Before we completed our transaction, the cashier handed me a coupon for 20% of our entire shopping trip which is valid next weekend. There’s no way I can resist it, so I’ll need to put together a list of things we will need soon (since other than eggs and other basic staples we’re covered for awhile). I’ll make sure ketchup and mayo are not on the list! 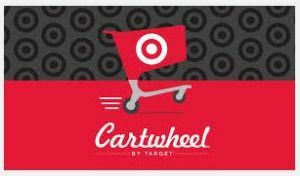 * I once had a Target employee tell me she didn’t think the Cartwheel was worth the hassle. Well, I guess if $143 saved is nothing in her eyes, more power to her, but that’s like anywhere between 2-4 shopping trips for us. It’s well worth it to me! Two weeks ago I wrote tips on how to remember to do things related to one’s personal life. This week let’s talk about work. I’m going to make an assumption here that the majority of office workers use some form of Microsoft Office which includes Outlook. Personally, I like Outlook as it has a lot of great features, many of which people might not be aware exist. One of my favorite things about Outlook is that you can customize the sort order of your inbox. Since the majority of workers get more email than they can reasonably handle, keeping it organized is paramount to success in one’s role. The first thing I do when setting up Outlook is pick a few standard categories and assign them a unique color, such as “* Follow Up” (red), “* In Process” (orange), “FYI” (blue), and “Waiting” (yellow). Notice the asterisks. 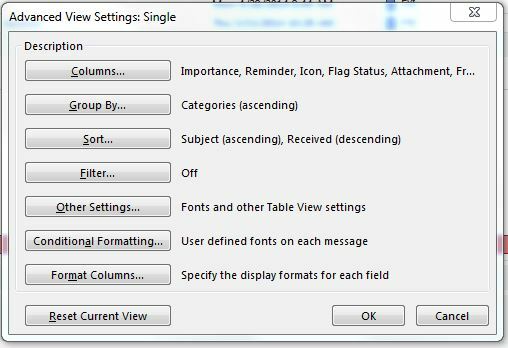 These are important as I also set up my inbox to sort as follows: Group by Categories, Sort by Subject (ascending), then Received (descending). Now when emails come in I can quickly categorize them if I cannot act on them immediately and they get grouped accordingly. This leaves the top of my inbox for new items that I haven’t read or taken action on. Also, I should point out that while this method works great, it will fail if you don’t ever move or delete the emails from your inbox eventually. You should have a goal to only keep x number of emails in your inbox at a time and then make an effort to move unneeded mail to folders categorized by topic. I would advise against filing by sender as some people do as that breaks up conversations when there are multiple people responding. Remember that Waiting category I created? Well, I put any emails that I’ve sent that are pending a response there. But I don’t go into my Sent folder and move them to the inbox, no. 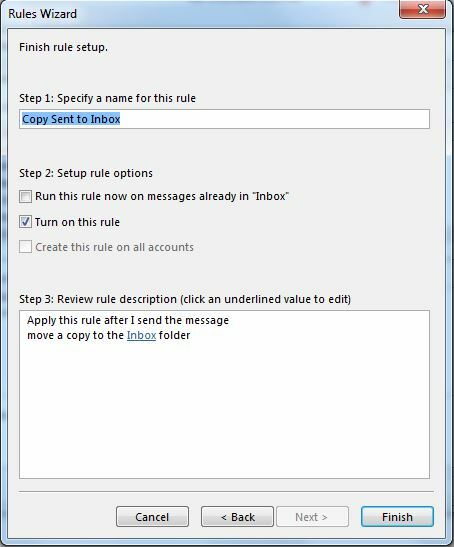 I have a rule set up that creates a copy of every email I send and puts it in my inbox. It appears immediately after I send my email, so if I know I don’t need to categorize it, I immediately delete it. I found this method to be helpful because then my Sent folder has all emails but I have a copy for keeping an eye on as well. Here’s a screenshot of what that rule looks like once it’s been set up in case you’d like to set something like this up. I highly recommend it. In a perfect world everyone would respond to our emails in a timely manner and we wouldn’t have to keep an eye on what we’ve sent but I think anyone who has worked in an office more than a month knows that’s just not going to happen, and unless you have a visible reminder in your face you’re going to forget to follow-up which can cause lots of issues. Now for the pièce de résistance – Tasks. That’s the icon in Outlook that looks like a clipboard with a check-mark inside it. You can create tons of little reminders so you can relax and not worry that you’re going to forget something. Sure, you could use the calendar in Outlook, but that can get messy, not to mention block out your availability when technically you are available (although it’s great when you really do need some uninterrupted time to work and I highly recommend you use it for such cases, as well as for your lunch hour if your role requires attending a lot of meetings so you don’t get stuck not being able to take a lunch at all). Also, did you know you can add reminders to emails? Those come in handy if you have some emails waiting for follow-up and you know when you’d prefer to handle them. In addition, you can even set reminders to recipients when sending an email. Some people will probably not like it, so I’d only do it if the particular person has demonstrated in the past that they cannot be relied upon to reply by the deadline set in your communication and/or you’re emailing a large group of people who need to respond within a particular time frame. They need not read the email for the reminder to pop up at the designated time which works great for those who might preview the email and then set it aside without marking it as read. I’m lazy. It’s true. But most people who know me wouldn’t label me as such because I get a lot done, both in my personal life and at work. My motivation? Laziness. I’d much rather automate a task than do unnecessary manual steps over and over again because I hate wasting time! Case in point: there are files I have to download from my employer’s financial system which need to be manipulated in Excel via formatting and formulas before they can be used to create a wire transfer, and later, to enter and clear the invoices in the system. Each batch of invoices contains several of these files. It would take hours to manipulate each one manually. Or I could record a macro and run it on each file which takes less than 30 seconds. Now, creating the macro initially took a little time because you have to think about how to design the formulas to account for the fact that you aren’t sure how many total lines of data will be in each file, but once I got past that hurdle it was smooth sailing. Now I couldn’t imagine having to manipulate those files manually every week. It is a daunting enough task as it is but my laziness made it that much easier. I have lots of spreadsheets and email templates set up to save myself time, as well as provide consistency in my work. I would feel disorganized and ineffective if I didn’t, plus like I said before, I really hate wasting my time on mundane tasks. The easier I can accomplish a task with the least amount of steps, the better. What efficiencies have been born out of your laziness? This is our vacuum cleaner. It’s not pretty by any means. We didn’t even bother to take the sticker off the front when we bought it ten years ago! The plastic piece on the back that held the cord broke off last year which is why the cord is wrapped around it the way it is. It has seen better days, that’s for sure, but it still works like a champ! I was pretty bummed when the cord recently starting coming apart; it was fraying at the point where it went into the cleaner. 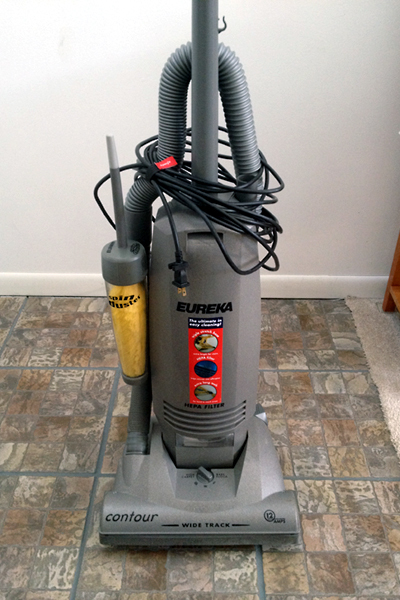 I was worried we’d have to buy a new vacuum and that did not make me happy because 1) it still works perfectly fine and 2) we have spare vacuum bags and a belt in the garage which we already purchased and likely wouldn’t work on a new model since ours is a decade old. Luckily my handy husband was able to open it up and fix the cord using tools we already had in the house. What a relief! Think about the things you own that break. Do you instantly throw them away and buy a replacement, or do you try to fix them? Don’t get me wrong – we don’t all have the skills to fix every thing we own, but perhaps we know someone who does. I think it’s worth it to evaluate the costs between fixing and replacing things to get the most bang for your buck. Plus, I’m not sure about you, but I get a little rush when we’re able to avoid extra costs by fixing something or finding a free solution. It frees up our money to spend on more important things instead of a boring old vacuum cleaner. What things have you fixed instead of replacing?